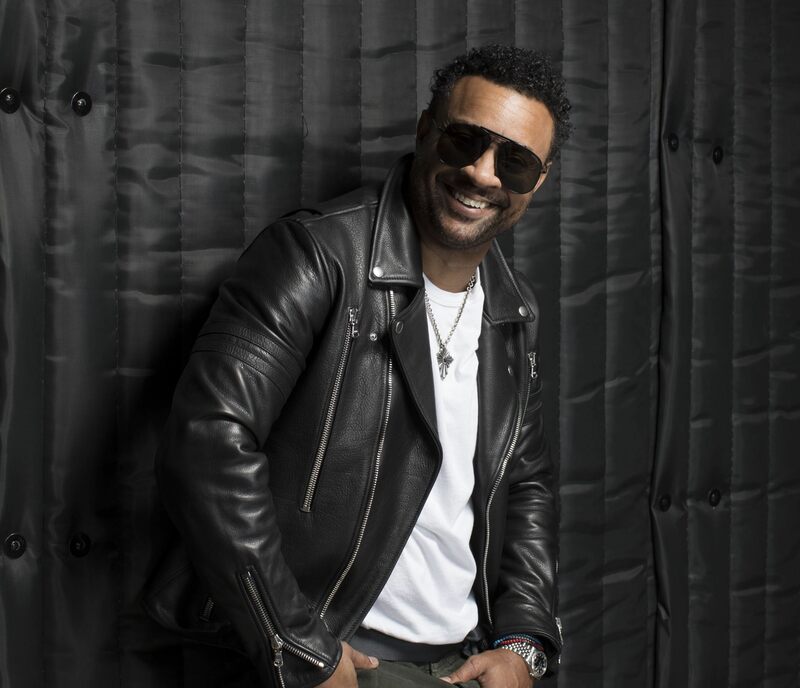 NEW YORK, NY – The Cherrytree Music Company, Brooklyn Knights Entertainment and 300 Entertainment are pleased to announce the release of Grammy-award winning dancehall/reggae icon, SHAGGY’s new album, Wah Gwaan?! – a collection that embodies the musician’s Jamaican roots, global reach, contagious joy and introspective side – on May 10, 2019. Full tracklisting included below. Wah Gwaan? !is an emblematic display of Shaggy’s rich sound influenced by all styles of music. He attracts both new and established artists from all genres; the emerging 19-year-old Canadian vocalist Alexander Stewart (http://bit.ly/2GrQEtR) lends his vocals on the irresistiblepop smash “You.” Shaggy balances the seductive energy of rising dancehall superstar Shenseea and GRAMMY-nominated singer-songwriter Stacy Barthe on “Supernatural.” On “Money Up,” his ties to Brooklyn hold strong, working with the borough’s dancehall artist Noah Powa. His musical worlds collide on “Tic Toc,” which features Nikki Jam, one of the biggest acts out of the urban Latino scene, and show-stopping entertainer Jason Derulo. Shaggy also taps a diverse range of producers including the legendary dancehall brothers Tony CD Kelly and Dave Kelly, Martin Kierszenbaum (Sting, Lady Gaga), iLLWayno (Nicki Minaj, Nas, 2 Chainz), Kizzo and Costi Official. Shaggy is gearing up for another banner year by hosting The 61stGRAMMY Awards Premiere Ceremony at the Microsoft Theatre in Los Angeles on February 10th. His undeniable charisma can be watched on the live international stream via GRAMMY.com from 12:30 – 3:30PM/PST. * Shaggy was born and raised in Kingston, Jamaica and moved to Brooklyn, NY as a teenager where he cut his teeth DJ’ing clubs in a burgeoning New York dancehall scene. * Shaggy served four years in the US Marines including two tours of duty in the Middle East as part of Desert Storm. *He has collaborated with, and written and produced records for, the most renowned and respected reggae musicians in the world including Toots and the Maytals, Barrington Levy & Maxi Priest, as well as mainstream artists such as Sting, Janet Jackson and Chaka Khan, among others. * Shaggy co-wrote and recorded a joint-album, 44/876, with rock icon Sting and toured the world with him throughout 2018. The album spent over four months atop Billboard’s Reggae Album chart and is currently nominated for Best Reggae Album at the 61st GRAMMY Awards. *Shaggy has racked up no fewer than eight singles in the Billboard Hot 100, including two that went to No. 1, as well as seven albums on the Billboard 200, with four in the Top 40. *As the only certified Diamond-selling dancehall/reggae artist, Shaggy is among the Top 3 streamed Reggae artists on Spotify. He has amassed 710 million streams across his catalog. * As a proven hitmaker, Shaggy has also been using his platform to help his community and beloved home, Jamaica. His Shaggy & Friends benefit concerts have raised millions for the Bustamante Children’s Hospital (the only English-speaking children’s hospital in the Caribbean) located in Kingston. It’s all of this that shapes Shaggy the man, but also Shaggy, the musician. Having written every single one of his hits, Shaggy imbues his songs with personal experience, salient empathy and an effervescent joy. In concert, Shaggy moves and uplifts an audience with dynamic beats, fun, laughter and irresistible hooks. Wah Gwaan?! represents a robust musical journey by a musician/songwriter/entertainer/ armed forces veteran that invites the listener in with vibrancy, urgency and hope. Most of all, it captures the Caribbean-forged, energy-infused, adventure-informed musical impulses of a one-of-kind original: Shaggy.